Your comfort should never be compromised. led to the start of our honest, reliable and professional company: Lakeview Heating and Cooling. exceed their expectations, making us the local heating and cooling company that Chicago city residents can refer to their friends and neighbors with confidence—and without hesitation. That’s why, whether you’re in need of a heating repair in lakeview, an air conditioning replacement in Wrigleyville, or just regular seasonal maintenance in Bucktown, our company will work tirelessly to provide you with industry-leading HVAC services for complete home comfort through every season. We service and repair all major brands. We proudly install new Rheem furnaces. For more than two decades Chicagoland has trusted us for service and repair on all brands. Further, we install new state-of-the-art Rheem equipment. Proudly serving the Chicago land area since 1998, our comfort specialists are experts in the heating and air conditioning industry—earning 100 percent customer satisfaction in Lakeview and the surrounding communities. 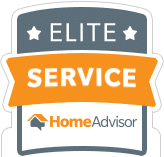 We provide the very best services at affordable prices because our trained and certified technicians are committed to delivering innovative heating and cooling solutions tailored to fit your home—and your budget. From servicing an AC repair in Roscoe Village, to a heating service in Uptown, Lakeview Heating and Cooling has worked our way to being the company of choice for local homeowners. If you live in Lakeview or any of the surrounding areas, you can trust our team to help you choose the proper air conditioning or heating solution for your home, and provide you with high-quality HVAC services to meet your every need—all year long. The difference between Lakeview Heating and Cooling and other home comfort companies is that we believe in our work. Our team is dedicated to providing unrivaled support to each of our clients—leaving you with a level of comfort you can rely on from a company you trust. Our high-quality services, products and workmanship enable us to bring a consistent home comfort to your family and friends. Your comfort should never be compromised. So, when you’re in need of air conditioning, heating or indoor air quality, turn to the team that is not satisfied until you are. Lakeview Heating and Cooling makes your home comfort our priority, always.